Admission officers look closely at how foreign students score on the verbal portions of SAT exams, says Jacques Steinberg, senior editor at The New York Times and author of “The Gatekeepers: Inside the Admissions Process of a Premier College”. SAT and ACT, the dominant undergraduate college admissions tests, measure literacy, numeracy, and writing skills. Steinberg embedded himself as a reporter for a year at the admissions office of Wesleyan. The elite, liberal arts college in Connecticut has high standards — including a median SAT score (on the math and verbal parts of the exam) of 1,350 among its first-year students in recent years. 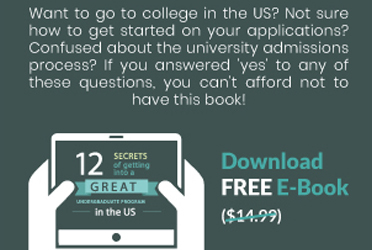 Steinberg’s reportage turned into the bestselling book, “The Gatekeepers” which demystifies the college admissions process. Although not a how-to book per se, Steinberg's work does include practical advice. Steinberg received the Fred M. Hechinger Grand Prize for Distinguished Education Reporting for an earlier, fly on the wall account of a third-grade teacher’s struggle to teach reading’s joy. He spoke with BrainGain Magazine in New York. How important is it for international students to go for big brand schools? As investments, most college degrees leave a lot to be desired in a tough economy, so are students at risk of getting a poor return on investment if they opt for low-quality colleges? For American students, the question of what they get for being educated at a "big brand school'' —as you put it — is being debated more than ever here, with tuition and fees continuing to rise (upwards of $60,000 annually at some American colleges) and with the unemployment rate high among recent college graduates. Some students whose parents went to such colleges (and, full disclosure, I'm a graduate of one you would probably put in the "big brand'' category, Dartmouth College in New Hampshire) have been taking a hard look at whether the costs that might have to be borne (including in the form of loans that can take years to pay back) justify the benefits of attending such schools. And those benefits can be many, both in the classroom and out, as well as long after graduation. And yet, that's a very personal cost-benefit analysis that each family must undertake. One alternative is certainly for a student to save the "big brand" for graduate school. But again, I couldn't possibly advise an American family how to weigh these factors, let alone one in India. Before applying to any college in the United States, the very first step hinges on getting high Scholastic Aptitude Test (SAT) scores. How would you advise students to address low SAT scores? For those students aiming for schools that require the SAT or ACT, I do think that investing a nominal amount of money in workbooks or other self-paced media with practice exercises can go a long way toward helping students know what to expect, in terms of the style and approach of questions. Other students, with the means, may find it is worth enrolling in an actual prep course. But do know the outside research is not at all conclusive in terms of the value of these courses — in terms of average gains, or the meaning of those gains to the colleges, and students would do well to ask peers who have passed through this process before them whether they took such courses and found them helpful. Can you talk about Wesleyan's admissions practices and how the admission officers go the extra mile to ensure they are getting the right candidate? I think the one take-away for your readers is that these are human beings, and this is a very human process, and much effort is invested in trying to build a vibrant, diverse class — in the broadest sense of the word diversity, including a diversity of interests and backgrounds and life experiences and passions. 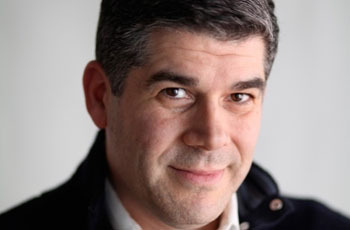 The main character in the book, Rafael Figueroa, who worked as an admissions officer at another top liberal arts college, Occidental, before moving on to Wesleyan, would often set aside his favorite essays to read them to his wife that evening. Sometimes they'd cry together reading them. In the case of some of them, Ralph photocopied the essays and still has them, many years later. I think that says something about the people who do this work. In your exchanges with admission deans did you find that there is, in effect, an upper limit for the number of applicants they will accept from India or any other country?